Columbus Stainless achieved ISO 9002 listing in September 1992. This listing has been maintained since then and we are currently certified to ISO 9001. Our philosophy for quality is "Prime, On Time, Every Time” and this is communicated to all employees through the Quality Policy, which we have also made available on the downloads webpage for any interested parties. As a company, we are confident that, through our Quality Management System, we can consistently provide a quality product and a quality service to our customers. We also hold PED 2014/68/EU and CPR 305/2011/EU certifications which allow us to sell products into the pressure vessel industry and construction products industries respectively. The annexures to our certificates list the material that falls within the scope of approval. The declarations of performance are available on the downloads page. We are very proud of the fact that our Laboratory is accredited to ISO 17025. 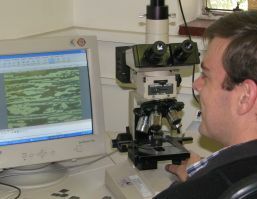 The laboratory has been accredited since 1991 and was the first laboratory in South Africa to attain this accreditation. Accreditation means the laboratory is competent to perform certain tests in terms of chemical analysis and mechanical testing. The Vision Statement for Columbus Stainless is “Adding Stainless Quality to Life”. In order for our team to fully understand this statement, training courses on out Quality Management System are presented in-house. Every member of the Columbus Stainless team is passionately proud of the quality of the products that we produce. All our certificates for the quality certifications that we hold are available on the downloads page.